Are you interested in purchasing a new pickup truck but aren’t sure which model to choose? Consider the 2017 Chevy Silverado and the 2017 Ford F-150, two of the most popular models on the market. Read through our comprehensive comparison article to learn more about each pickup. For this article, we will be comparing the 2017 Chevy Silverado High Country Crew Cab, starting at $52,845 MSRP, and the 2017 Ford F-150 King Ranch SuperCrew, starting at $51,775 MSRP. 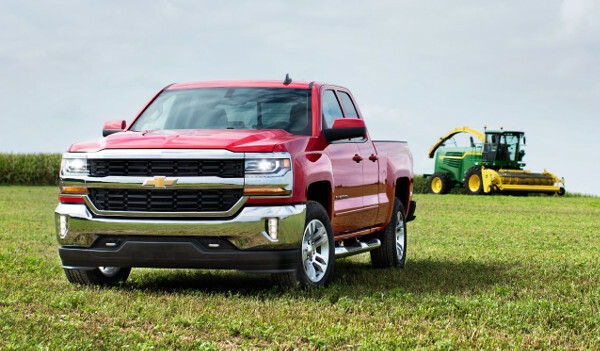 If you’d like to take home the Chevy Silverado, check out the new vehicle inventory at our Chevrolet dealership in Merrillville, IN for available trim packages. 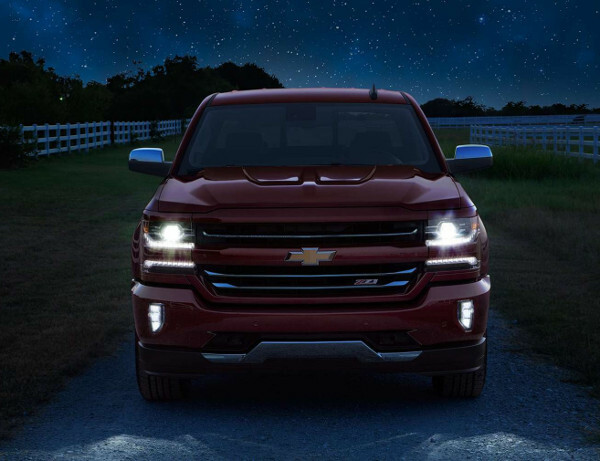 To save on a new Silverado, we encourage you to take a look at Chevy offers and incentives. Explore the differences in performance between the 2017 Chevy Silverado and the 2017 Ford F-150 in the table below. 26 gal. Fuel Capacity 23 gal. A comfortable and innovative interior space is hard to come by in a pickup truck, but fortunately, the 2017 Chevy Silverado and Ford F-150 offer premium features to keep you and your passengers happy. Take a look at their differences to see which best appeals to your needs. 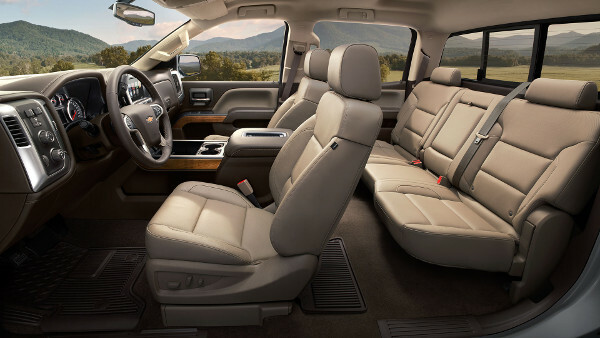 The Silverado’s triple-seal inlaid doors will keep you sane after a long day’s work. This feature isn’t available on the F-150. Use the Silverado’s Chevrolet MyLink™ infotainment system to answer phone calls, access vehicle settings, and more. The F-150 comes with a similar, but less impressive system. Exclusive to the Silverado, 4G LTE Wi-Fi® allows you to stay connected on the road. If you need the Silverado or F-150 for heavy-duty work, you’ll find both vehicles incredibly capable to handle any job. Explore their features below. Under-the-rail LED lamps are available on the Silverado but not the F-150. The high-strength steel bed of the Silverado is more durable than the aluminum bed of the F-150. Available only in the Silverado, the Trailering Package comes with a trailering hitch platform, 4-pin connector, and more. Test-Drive the 2017 Chevrolet Silverado in Merrillville, IN Today! Ready to get behind the wheel of a 2017 Chevy Silverado? Our team is awaiting your arrival to test-drive the new Silverado at our Merrillville, IN Chevy dealership. Book a test drive online or by calling 219-947-4151. For more information, you can contact us online.